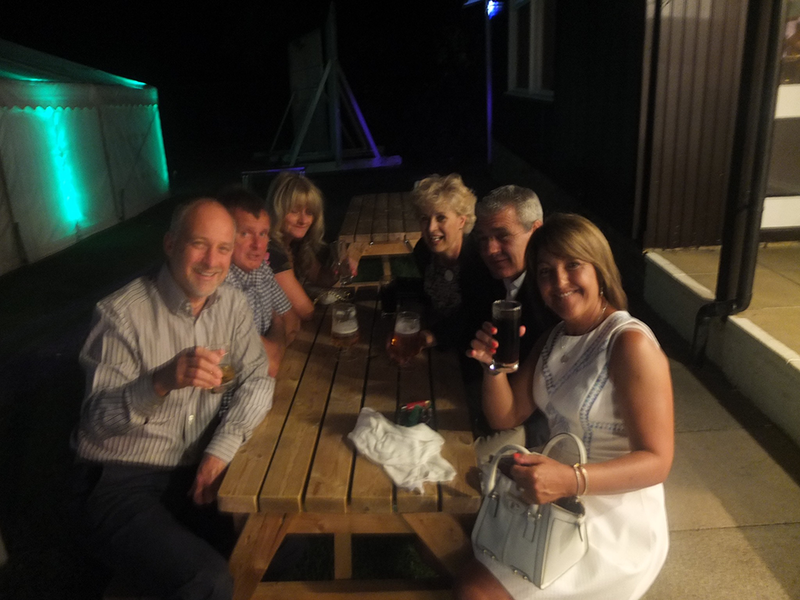 CTC 50th Celebration Party 2015 was posted on January 19th, 2016 at 12.02pm and is filed under Events & News..
Over one hundred and fifty members and their guests enjoyed a BBQ and dance on a warm July evening. The venue was a grand marque attached to the cricket club on the common. Dress was electic ranging from shorts to black tie with music and glamour provided by the Vegas Girls. As the last number played a torrential thunderstorm marked the end of a memorable evening.